CityLife is Cambodia’s premier FREE guide magazine, bringing good reading to all those in Phnom Penh and around town who like to keep their finger on their city’s pulse. Every two months, a glossy new volume of CityLife delivers fresh information on the best restaurants, bars, cafés, places, attraction, shop and many more in your neighborhoods and right across town. With its engagingfeature stories, lively reviews and sparkling photography, CityLife has become the essential reference for countless Cambodia residents, business people and visitors. Cambodia Citylife issue# 5 finally arrived ! This beautiful Cambodia E-magazine will bing you to some part of wonderland in Cambodia. This issue also reveal the most important event that take place in Cambodia every year where Cambodian travel across the country to join the events. Enjoy reading and your own pace! Cambodia CityLife issue#4 is here! The Cambodian Magic Tattoo !!!! This E-magazine is the original soft copy from Cambodia CityLife that schedule to publish on 8/9 /10. If you are interested in this Cambodia magazine and guide, you can go around the town to check out for Hard copy from place such as coffee shop, western restaurants and bars. 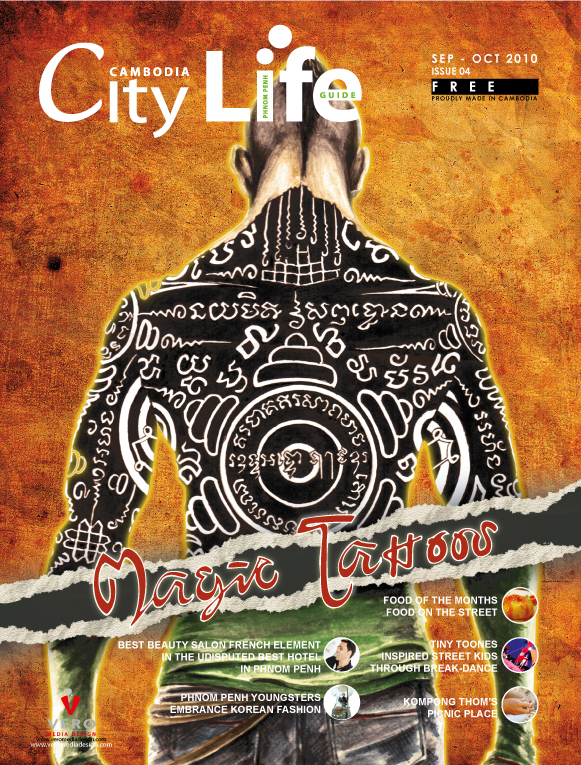 The release of this E-magazine come with key word “Magic tattoo”, basically this issue is introducing Cambodian belief and way of life. the tattoo is acting like a shield to protect its owner from any harmful spell, also give strength and unique abilities to gain control on user’s fate, if you want to more about this tattoo stuff turn to page 16. 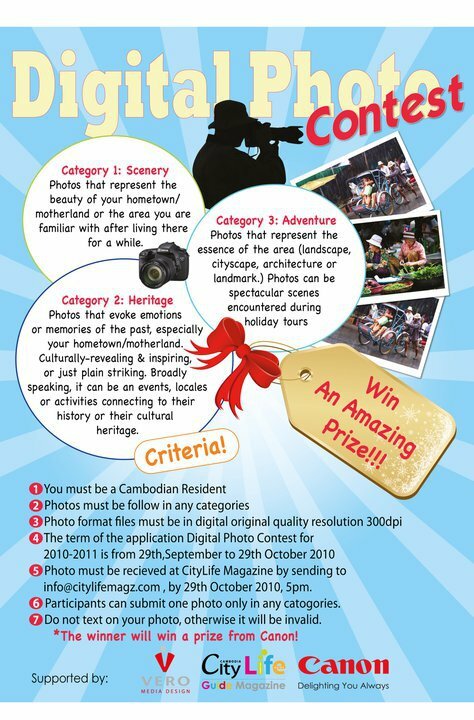 Cambodia CityLife issue 4th is coming this way! stay tune for digital copy! Cambodia Citylife’s fan expecting something cool out of it. Introducing Norry in Battambang! transportation in Cambodia is shifting, the old transportation is disappearing, will we be able to see the old way of transportation in the future? CityLife Issue#2 will bring out the Norry as Memento of Cambodia transport history.